This is the most common osteochondrosis, affecting predominantly boys with a peak age of incidence from 6 to 10 years. The involvement is for the most part unilateral, with a bilateral incidence of about 10%. 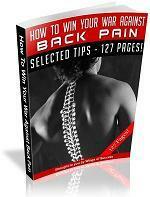 The presenting clinical symptoms are limp, limited joint motion, and pain. The etiology is not established, but traumatic insult to the vulnerable retinacular arteries, which mainly nourish the femoral head during the active growth stage, seems plausible. The vascular injury with subsequent ischemia may restrict the blood supply with resultant avascular bone necrosis. 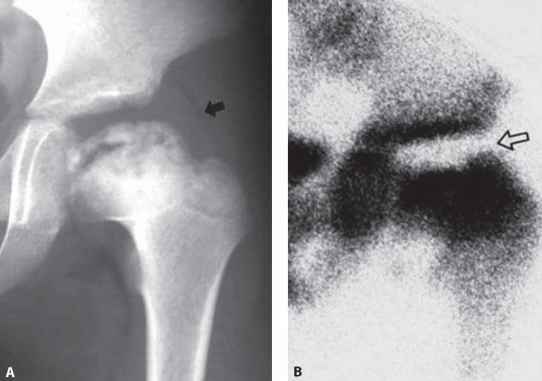 Characteristically, the articular cartilage is preserved or hypertro-phied to compensate for the collapsing epiphy-sis. Fig. 13.3 Serial semiquantitative assessment of revascularization during the healing phase of Legg-Calve-Perthes disease. Top row Serial pinhole scintigraphs of the left hip shows initial total photon defect followed by gradual res toration with revascularization that starts from the medial column. Bottom row Equivalent serial radiographs reveal initial decrease in epiphyseal height gradually followed by restoration to illustrate the diagnostic benefit of pinhole scintigraphy (Danigelis 1976). Indeed, pinhole scintigraphy can detect photopenia in the earliest stage of disease. Thus, an obvious photon defect may be seen while radiographic change is absent or dubious (Fig. 13.1). As widely practiced, pinhole scanning is useful for a serial semiquantitative assessment of revasculariza-tion during the healing phase (Fig. 13.3). Early repair is denoted by the characteristic uptake in the lateral margin of the capital femoral epiphysis, the "spur" sign (Conway 1993) (Fig. 13.4). The broadening and shortening of the femoral neck are important sequelae. These sequelar changes and collapsed ossification center accumulate tracer intensely to form a block with a preserved cartilaginous space above (Fig. 13.2B).